Even when financially prepared for retirement, many people are unprepared for the psychological and social changes that occur. Here are some tips for retaining a sense of purpose and pleasure in life after work, especially as we are living 20-30 years longer than people did 100 years ago. They say 70 is the new 50. I like that! I’d like to share with you ‘The 5 Secrets to a Successful Retirement.’ I have come up with these, from the feedback I’ve had from so many people over the past 8 years since writing my first book, ‘So What Do We Do Now?’ and from the people who have attended the many retirement seminars I have presented at around Australia, plus my own experiences. This is helpful for everyone, whether still working or already retired. 1.Make a Bucket List. This helps to give you a sense of purpose and a reason to get up every morning. It is never too late to start a bucket list, but the earlier you start one the better. 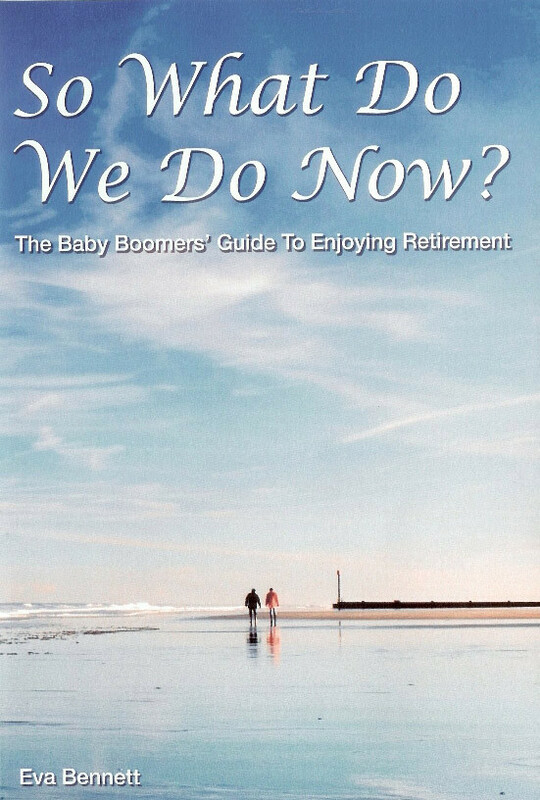 Studies have shown that less than 40% of people retire when they planned to. I have found, time and time again, that the people who had a bucket list of a variety of interests while they were still working, transitioned into retirement more smoothly than those who didn’t have one. I have met people at my presentations who said they have to keep working because they didn’t have enough money to retire yet. When asked what they wanted to use their money for, often they had no plans for what to do in their retirement, except perhaps ‘play golf’ or ‘go fishing’ every day. And what if the weather is bad, what will you do then? Men in particular, can lose their sense of identity and self-worth when they retire from full-time work, so developing a bucket list along the way, can ease this perception and give meaning to this new stage of life. Re-invent yourself. Use the skills and talents you have developed over the years, to share with others by joining groups, volunteering, developing hobbies, etc. Even if you have already been retired for a few years or more, it is never too late to start new activities and meet new people. So good for your health and well-being. 2.Use your money wisely. When you know what you want in this new stage of your life, your financial planning will be more effective, especially as we are living longer. One thing I have learnt, both through other people’s stories & my own experiences, is that as we get older, using our money for experiences rather than material things becomes more meaningful and adds to our quality of life. Especially when family members and close friends have passed away and we re-assess just what is important in our lives. For example, if you haven’t been caravanning before, couldn’t you have as much fun travelling around in a rented caravan & enjoy the experience, instead of buying a big motor home and then regretting it and losing money, as some people have done. Ask yourself – Do you want to be rich or live a rich life? What is more important – Health or Wealth? 3.Keep your mind fit. Just because we stop working, doesn’t mean we need to stop learning. We don’t ‘lose our marbles’ because we are getting older, especially if we keep using our brain. A wonderful provider of learning opportunities for seniors, is U3A – University of the Third Age. U3A offers a variety of courses, all conducted by volunteers – a great way to share the special skills and talents you have. Membership is around $40 p.a. very affordable! I have started doing Mah Jong – a board game that really challenges the brain! There are over 200 U3A centres around Australia with over 60,000 members. Find a U3A near you and try something new and meet new people. 4.Keep your body fit. To slow down the ageing process and keep you healthy, one of the best physical activities you can do is, taking a daily walk, unless it’s pouring rain. A 30-40min walk in the fresh air keeps the body parts moving, clears the head & can prevent dementia. While walking, focus on deepening your breath and focussing on what is good in your life. This helps to keep you more positive and reduce depression. Walking with a friend, walking the dog or being part of a walking group adds variety to your walks. You can also add variety by doing other physical activities like playing tennis, bowls, golf, swimming, etc. 5.Have fun. Our social health is as vital as our physical and mental health. This 5th secret is the ‘icing on the cake’. When we join groups, meet new people and share interests – it is easy to have fun. We are much less likely to get depressed and life in retirement becomes something to enjoy, rather than dread. Plus you will slow down the ageing process, feel younger and maintain better health. 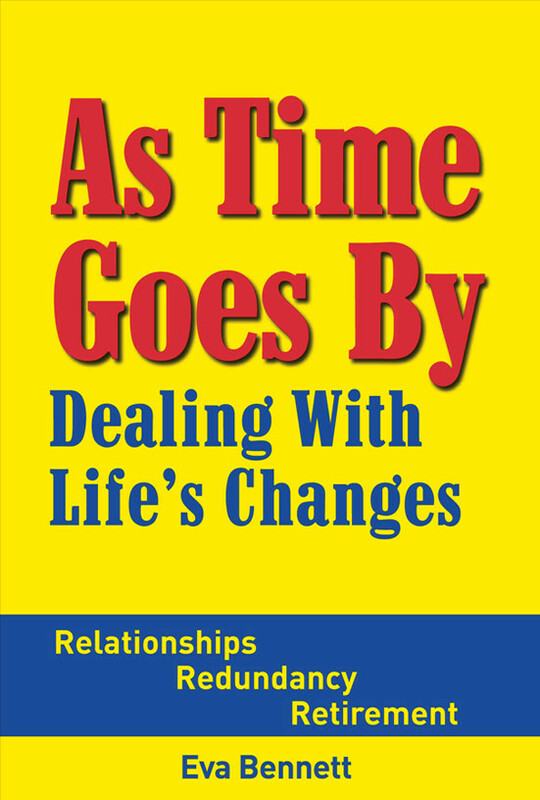 Both my books – “So What Do We Do Now?” and “As Time Goes By, Dealing With Life’s Changes” contain many helpful tips to help you make the most of your life. There are also many inspirational stories about people who have overcome challenges to enjoy life. I have also had younger people tell me that they have picked up helpful tips to get them to start thinking about preparing for life in retirement down the track, so instead of dreading it, they can look forward to this new stage of their lives.